Here at Toys for Big Boys, we pride ourselves on finding unique and unusual products. 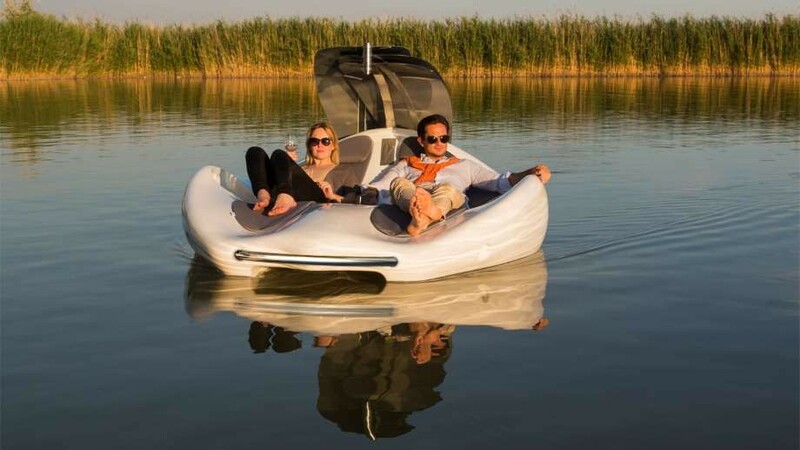 Among these products we found several different kinds of “luxury boats”. How about all the fishing enthusiasts out there. Instead of paying for docking fees, gas, having to tow your boat from here to there, maintenance and so on there is the Ultraskiff. A small boat that fits in your truck. Enjoy fishing without all the hassles and inconvenience of a regular size boat. Next, we have two ultimate party boats. There are BBQ boats. You will have a lot of fun preparing barbecued chicken, hamburgers and whatever else you desire while floating on the lake and watching all the on lookers wishing they had a BBQ boat! 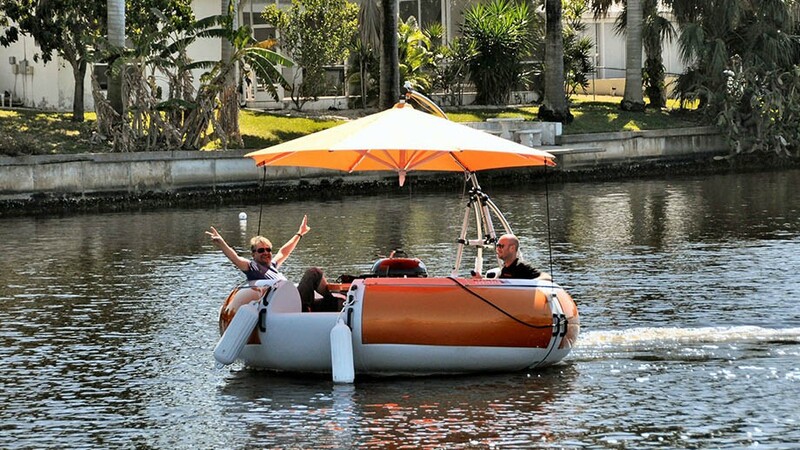 Second, while people are envious of the BBQ boat, the BBQ boat is envious of the Hot Tub boat. 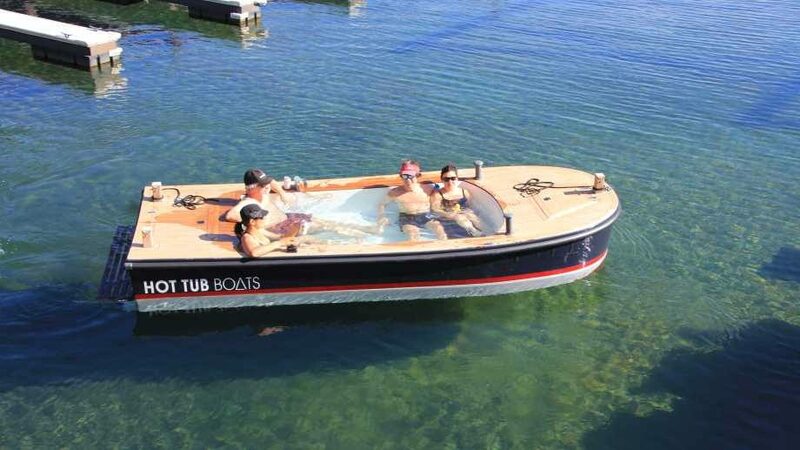 Imagine while everyone else has put their boat in storage you are out on the river nice and toasty enjoying your hot tub and the crisp clean air. 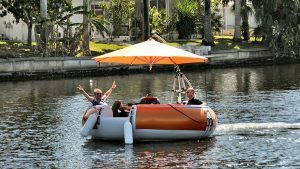 Honestly, they should put a hot tub on the bbq boat or a bbq on the Hot Tub boat, what a combo! The next boat is more in line with your traditional boat but, not quite. 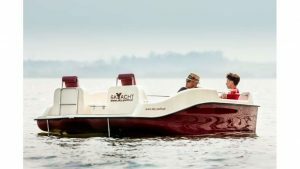 The Joyboat is a small recreational watercraft that fits into the boat category easier than the other boats mentioned. The well-planned ergonomics of the Joyboat provide blissful rest and relaxation while you admire the beauty of the water and the nature around you. Because the motors are electric rather than combustion engines, you are not bothered by noisy sounds that disrupt the peace. Last but not least, we have the Helicat. Now this has to be the weirdest “boat” I guess it is more along the lines of a catamaran. 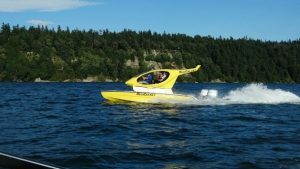 The new design makes this cool-looking, lightweight, stable and agile catamaran safe in rough seas and a lot of fun with great fuel economy and near-zero maintenance. Side vinyl doors keep you totally dry. I guess if you have an extra $75,000 laying around and don’t know what to do with it, buy a Helicat! This concludes my blog on our strange luxury boats, I am always searching for unique items if you see something, please let me know.